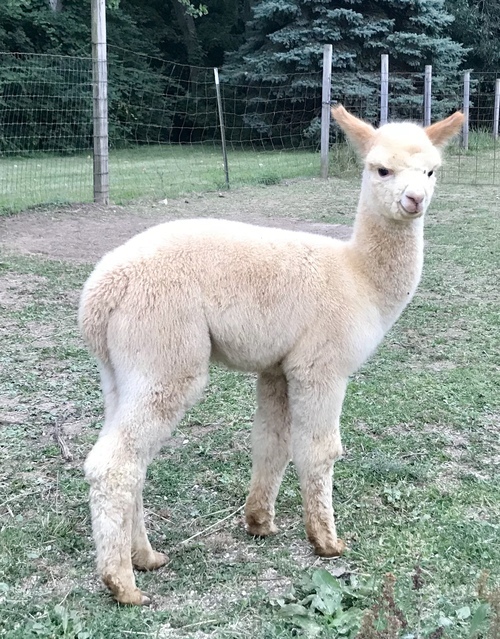 2018 Male Cria - Amazing Fleece & Pheno! MFI Peruvian Presumption is another stunning young son of Majestic Peruvian Jeremiah who has already proven himself in show rings. He is a beautiful beige male with a highly-advanced fleece exhibiting bundling and high-frequency, high-amplitude crimp. He is the full brother to MFI Peruvian Probabilities. He is passing those desirable traits plus the added value of his female to male ratio. Of his 39 registered offspring, he has an amazing 28 females and 11 males. This guy is passing any color of the female lineage with amazing consistency. His sire, Majestic Peruvian Jeremiah, is the 2008, 2009, 2010 and 2011 Herdsire of the Year. Presumption's dam is multiple champion MFI Peruvian Purisima, a daughter of Mister Antonio (Mister Antonio recently passed away). He also has accoyo PPPeruvian Mr. President, Peruvian Hemingway, MFI Peruvian Jericho, Peruvian Bueno, 5Peruvian Inca’s Ransom and Peruvian Don Julio in his outstanding pedigree! Hands down one of the most consistent fleeced male in the US. Can you guess which year the above samples are from? RESERVE YOUR BREEDING WITH A $500.00 DEPOSIT! Drulon's first cria have hit the ground! Wow do they look amazing! Big bone, amazing architecture, high frequency, high amplitude crimp. Most cria have been darker than dam. 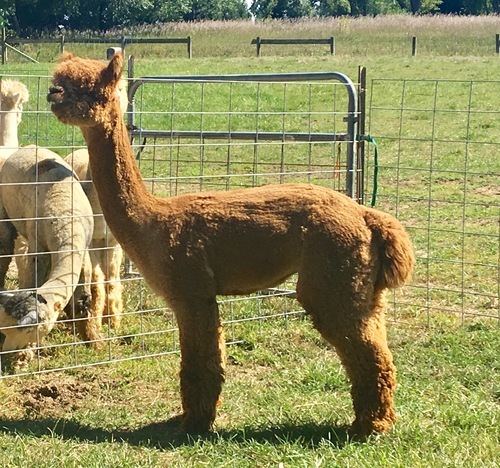 Dru's First Cria have hit the ground and show circuit with a bang!